Richard C. Wilson Helps implement discreet full balance sheet family office solutions for $100M+ net worth families through his firm Centimillionaire Advisors, LLC. 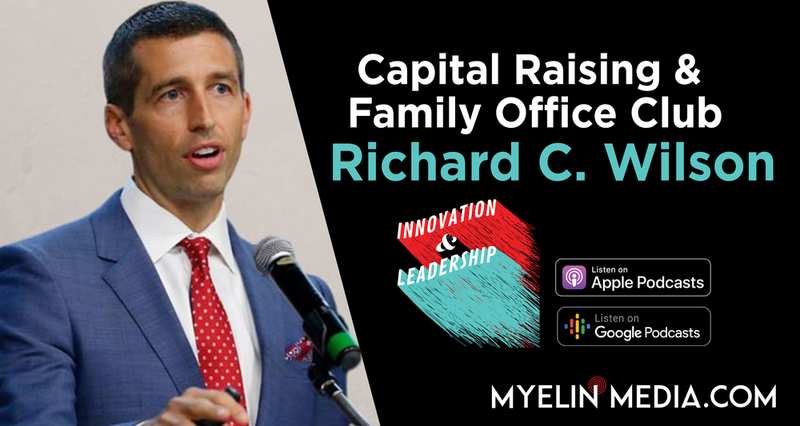 Richard is also the founder of the Family Office Club, the largest membership-based family office association with over 1,750 registered family office members and 25 live events per year. Richard has spoken at over 225 conferences in 17 countries, has the #1 bestselling books on the topics of family offices and capital raising industries. Richard’s latest publication is Centimillionaire Migraines: Proprietary remedies to turn the 6 most common headaches of $100M+ net worth clients into points of strategic advantage. Richard produces the Family Office Podcast and his website FamilyOffices.com is the most visited in the ultra-wealthy family office industry.